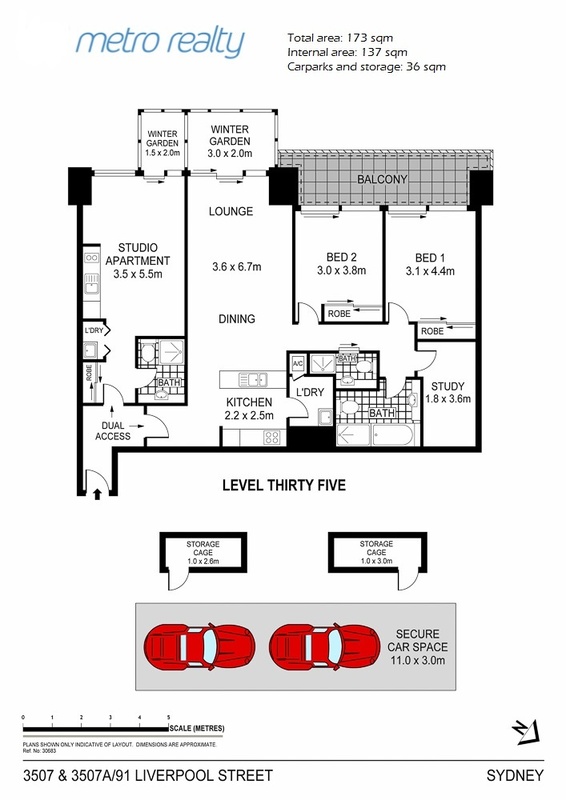 2 bedroom with study + studio apartment + two secure car parking spaces + two storage rooms. The unit represents an excellent investment opportunity with dual income streams. The location alone is unbeatable, positioned in the heart of the iconic World Square, with every conceivable city convenience at your doorstep. Take a stroll to Darling Harbour or meet friends for a coffee at World Square. With Paddy’s Markets, Chinatown, Pitt Street Mall and Hyde Park as your backyard, what more could you want? Call Joe on 0425 945 888 or email joe@metrorealty.com.au for more information.